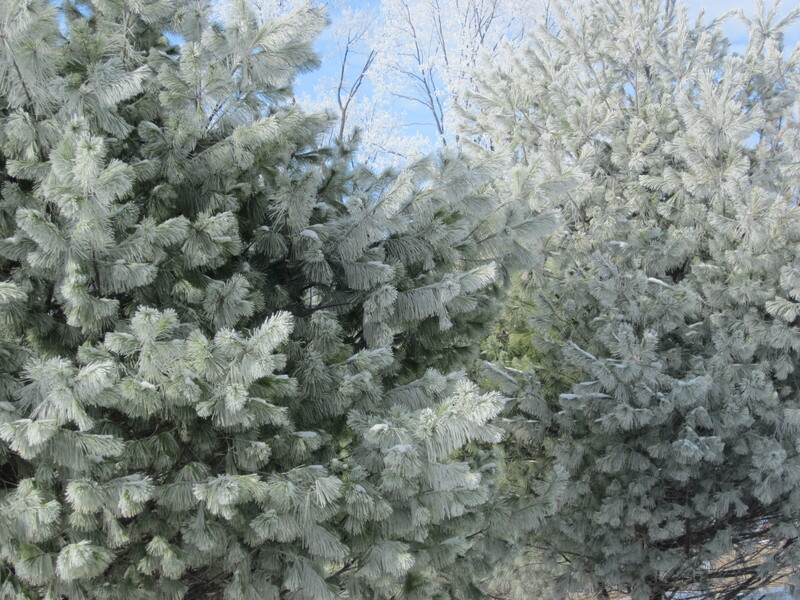 Each season always brings a renewed effort to spruce up the house and garden. It is always fun to change things up a bit without major investments. The first thing I turn to is moving my accessories from room to room and changing up the combination of items. This exercise always makes things look fresh again and each time I do it I think I have found the right combination. But soon, it will change again. 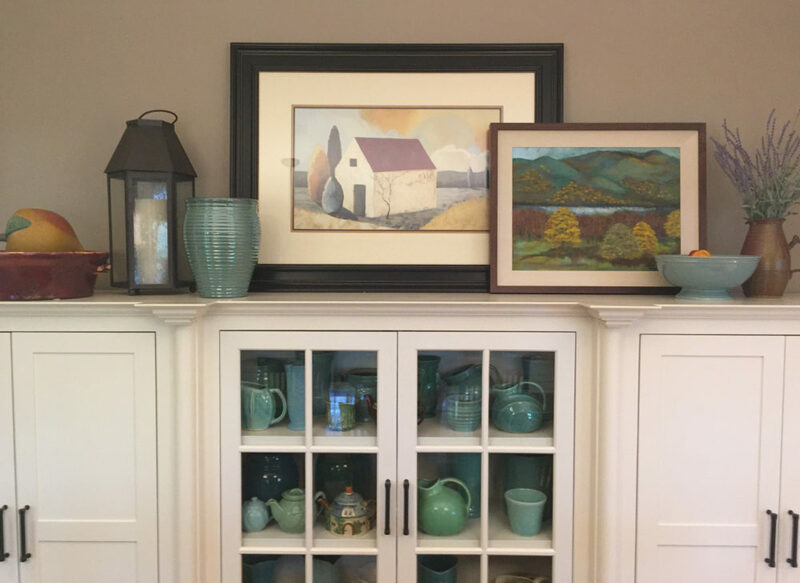 The space above my china cupboard in my dining room is always the first place I start and is the most fun to do. I know have shared this view a number of times, but items are a new combination. One rainy day spent in my sewing room always turns into either mending and ironing or rearranging fabric, sorting supplies and generally putting things back in order. Usually, the process results in finishing a project and perhaps getting inspired to use up “stash” items to create something from “nothing”. It is always a good day when new, finished projects are the result. 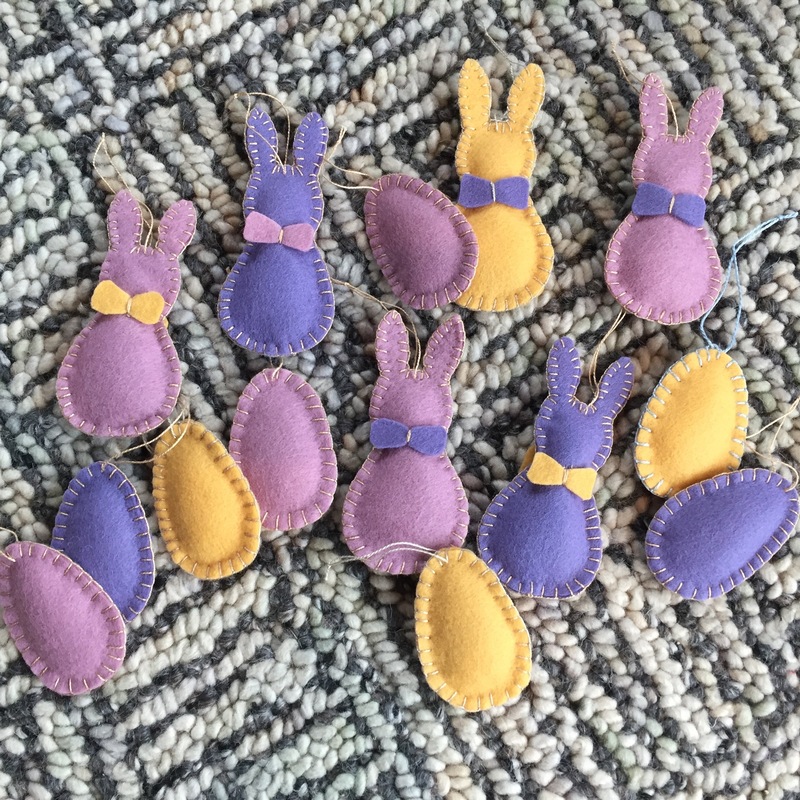 If you remember the hearts I stitched for Ella’s holiday tree in her room….they needed to be replaced with bunnies and eggs for Easter. She announced she would like decorations for the tree for every holiday throughout the year. 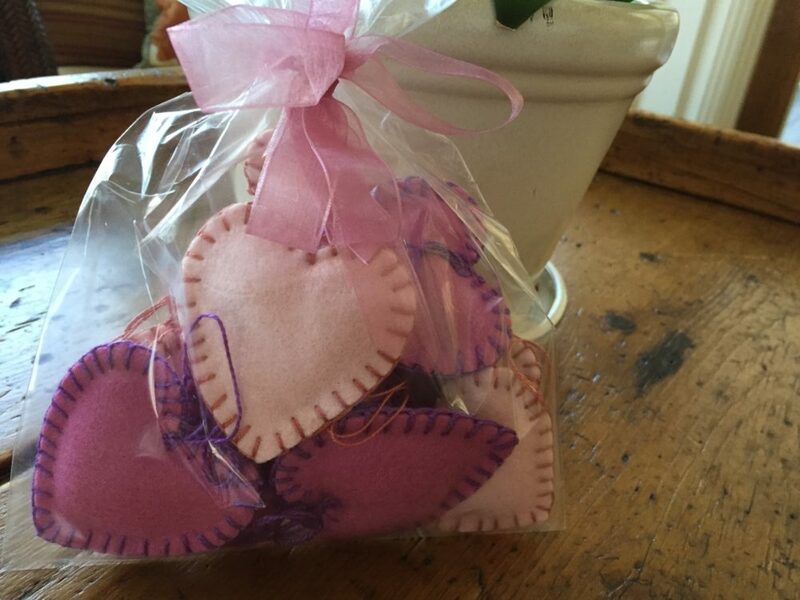 It sure is fun having someone who loves my little wool felt stitchery. Here are the new spring decorations for her tree. Luckily, I have a stash of wool felt, embroidery floss and pearl cotton that I can always dig into to make these small treasures. There is no pattern. 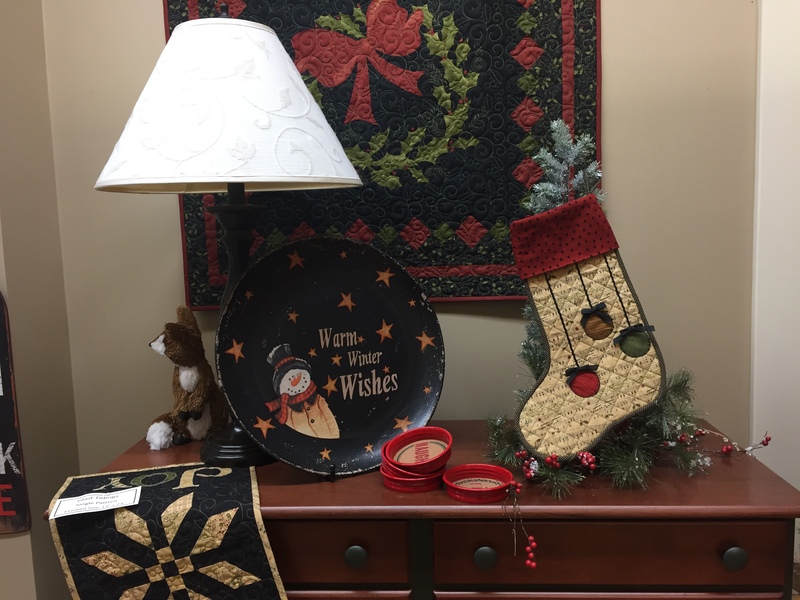 I sketched a shape within a 2-3″ size and cut two pieces of felt for each ornament and stitched the edges together with a blanket or buttonhole stitch. Just before I finished stitching around the shape, I tucked a very small amount of polyester fiberfil in to give a little dimension to the ornament. Cookie cutters make great patterns for simple shapes if you do not want to free hand the shapes. I think the next thing I need to do is come up with a special box to store all the ornaments in that can be tucked on a shelf in her closet so that as they accumulate they can all be stored in one place and retrieved easily for the years to come. 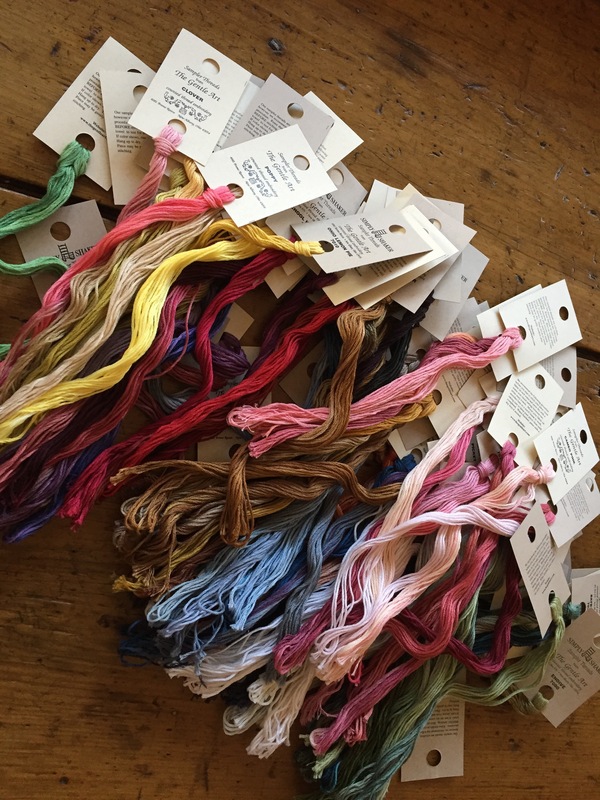 As I was looking for thread to use for these ornaments, it seemed like a good time to gather and organize all of the embroidery floss and pearl cotton that I have. It is always frightening to discover the amount I have accumulated. Over the years I have amassed quite a collection including threads from my grandmother, my aunt, my mother and everything from the Thimbleberries Studio. They are now all in one antique picnic basket along with my embroidery hoops. It is always a good thing to get every like item in one spot. 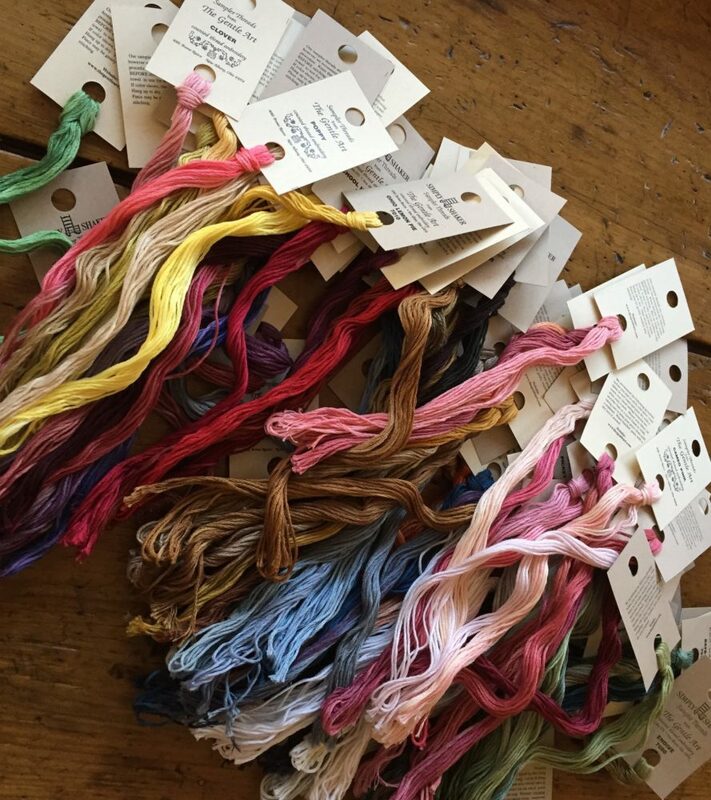 While sorting through, I thought of an idea that might use up a good amount of the embroidery thread stash. 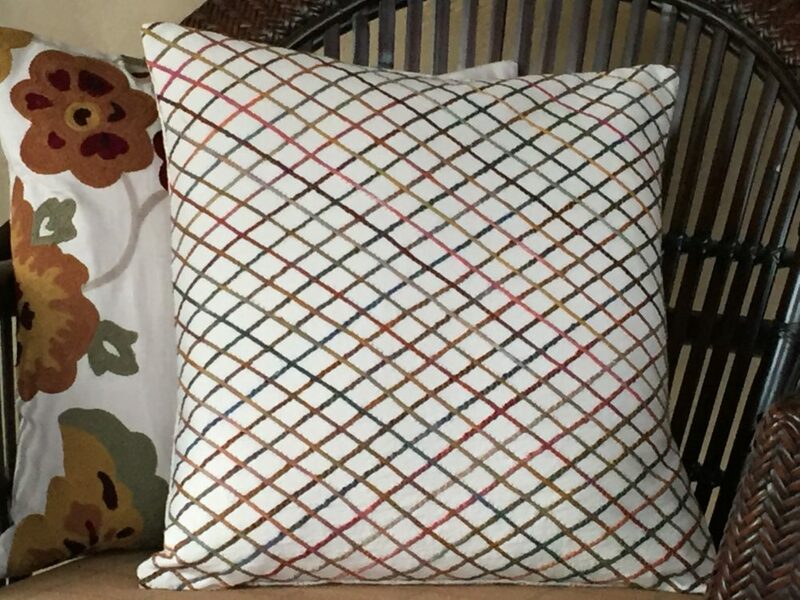 I collected a group of threads of coordinating colors and stitched the strands onto a base to make a new pillow. I found a neutral scrap of upholstery weight fabric that I had once used as a base for a group of appliquéd runners back in the eighties. It was one of those pieces that I just kept over the years, knowing I would use it someday. Well, that someday finally arrived and it was perfect for this project. It is now a pillow and not a scrap of fabric. I used a spool of variegated thread, and a huge variety of flosses, a wide zig zag stitch, a medium length stitch and stitched the floss onto the base in a diagonal pattern about an inch apart in both directions. I used the embroidery thread as it comes in the skein…6 single strands in a group. This made a nice thick cluster to zig zag over. As I stitched, I would slightly twist the 6 strands to make it easier to catch all the individual strands within the wide zig zag. 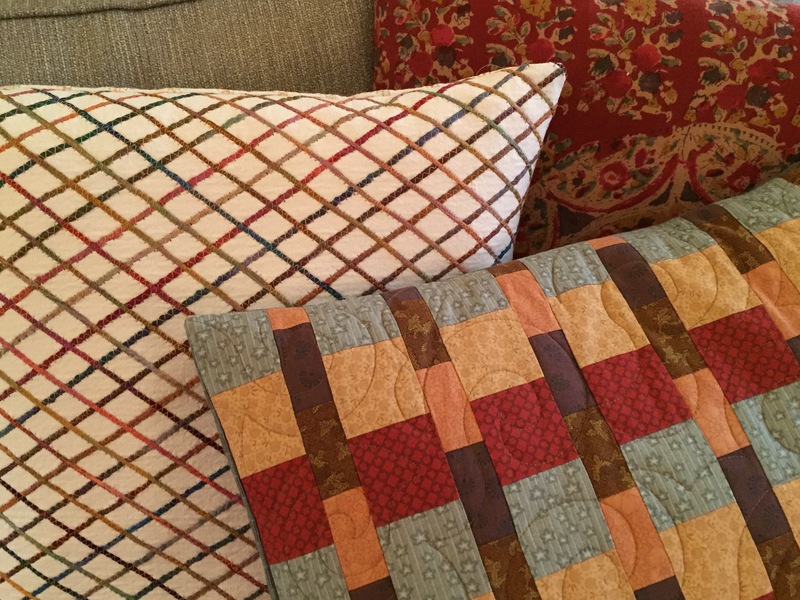 I love the finished pillow and also love knowing I made a little dent in my embroidery floss stash. 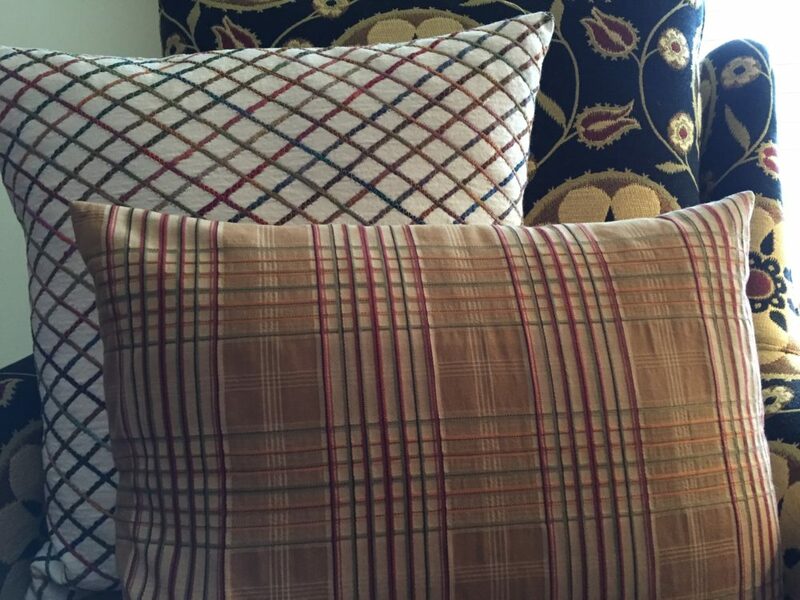 The best part of the finished pillow is that I have found many places to use it in my house. 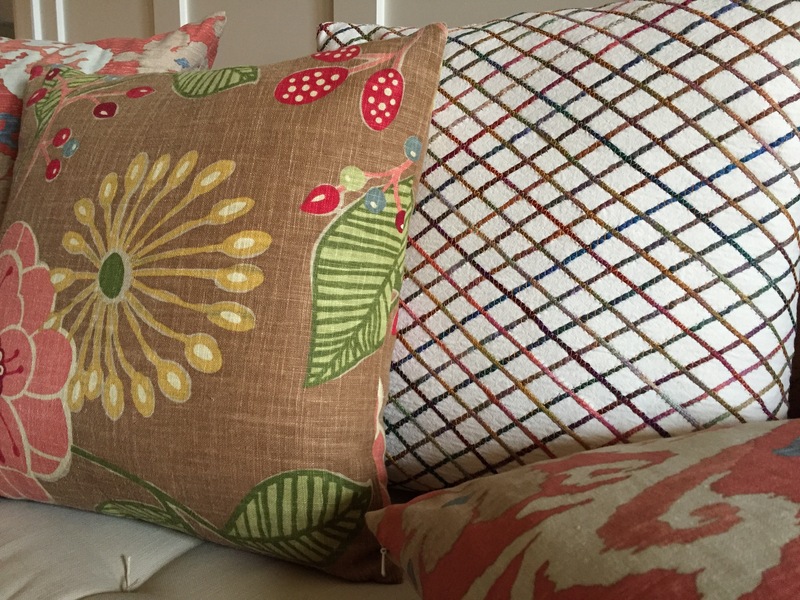 Because I used so many colors, it seems to blend with all of my other pillow groupings in many rooms. 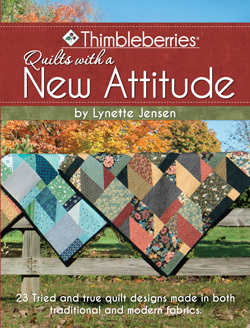 My new book, Quilts with a New Attitude has arrived and is available from Landauer Publishing and hopefully at your local quilt shop. 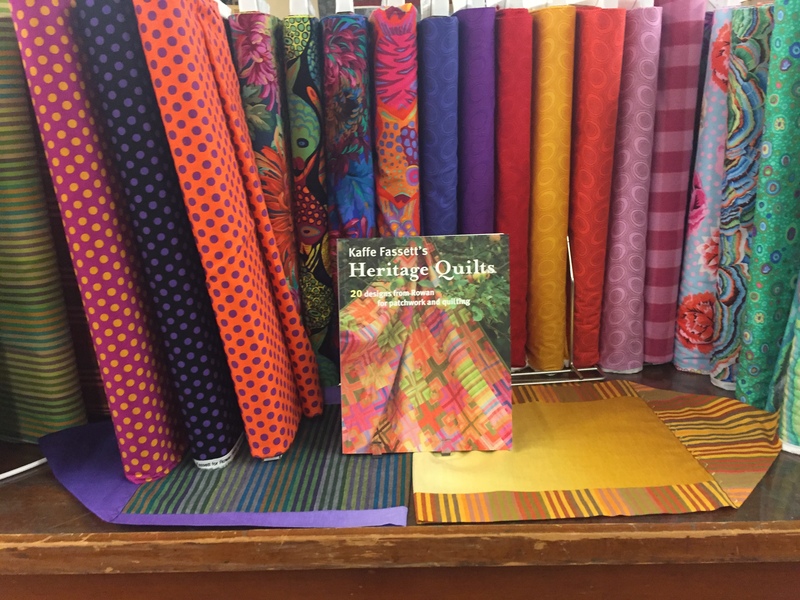 This was a fun book to work on using traditional quilt designs and showing them in both traditional and modern fabrics. 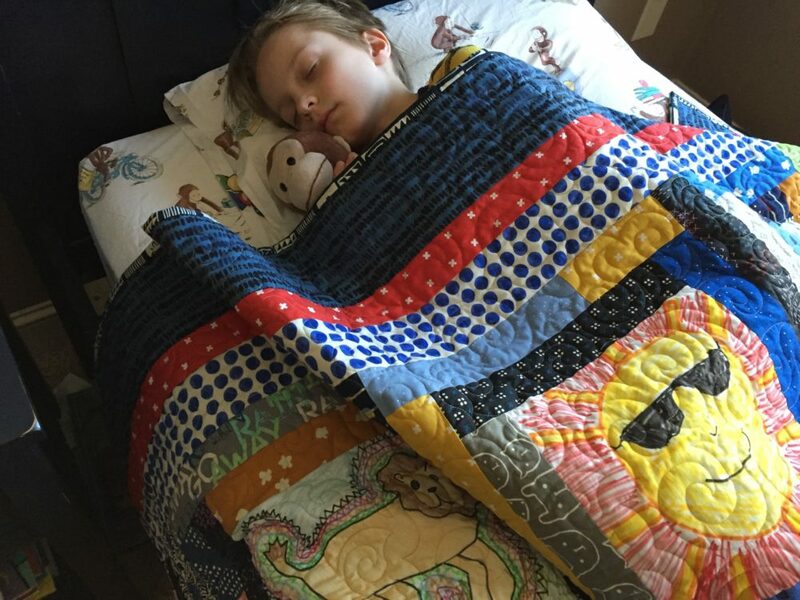 I am convinced that a good, well written quilt pattern works for all fabric preferences. 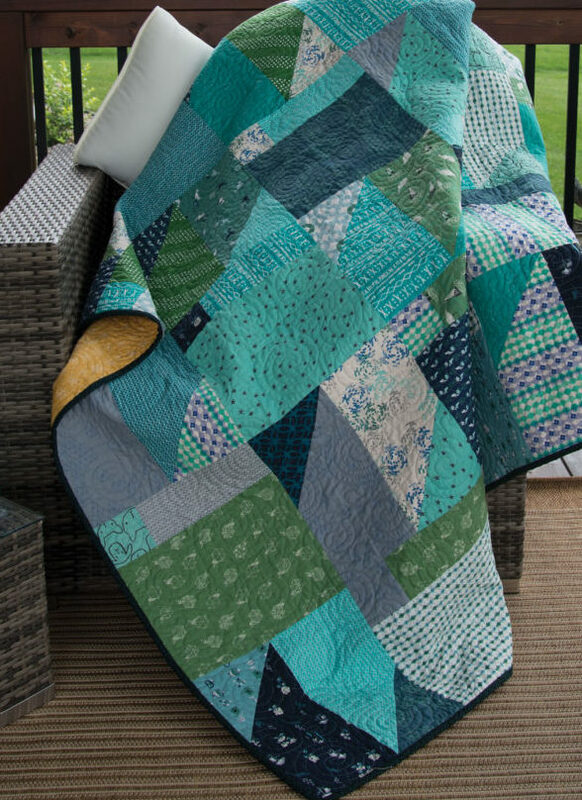 Thimbleberries patterns have always been the “go to” for teaching new quilters. 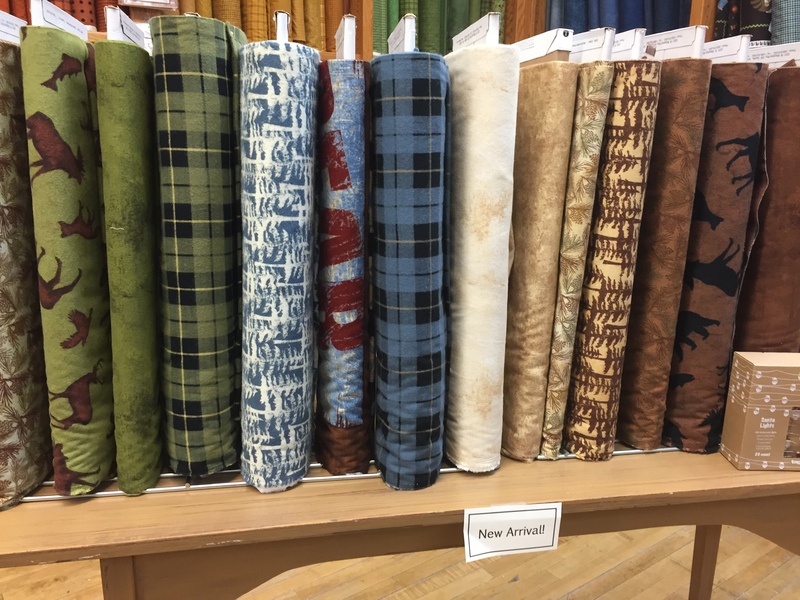 Showing the quilts made in a variety of fabric collections helps everyone imagine the possibilities. Throughout the book, each quilt was made using vastly different fabrics. In some cases the same block was used but half sized. 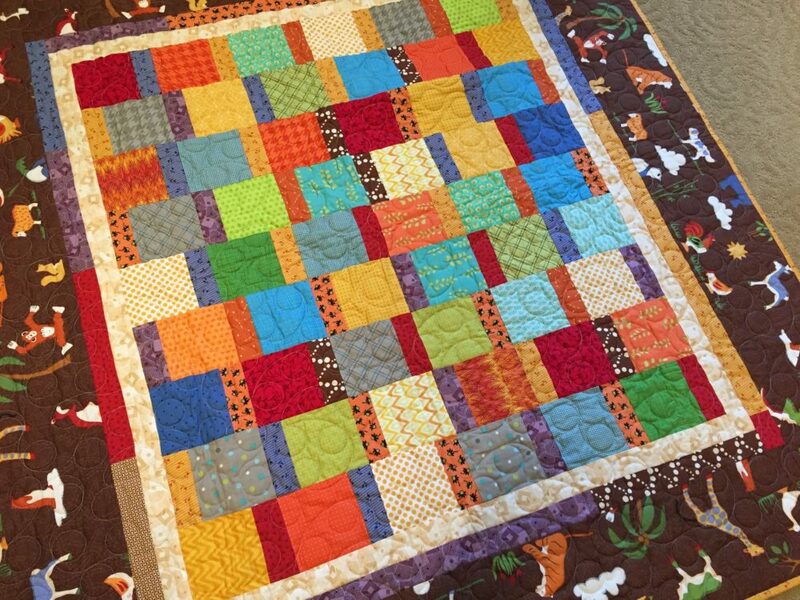 In some cases, the same blocks were used but sashing and borders were eliminated and in many cases an alternate size quilt dimension was the result. 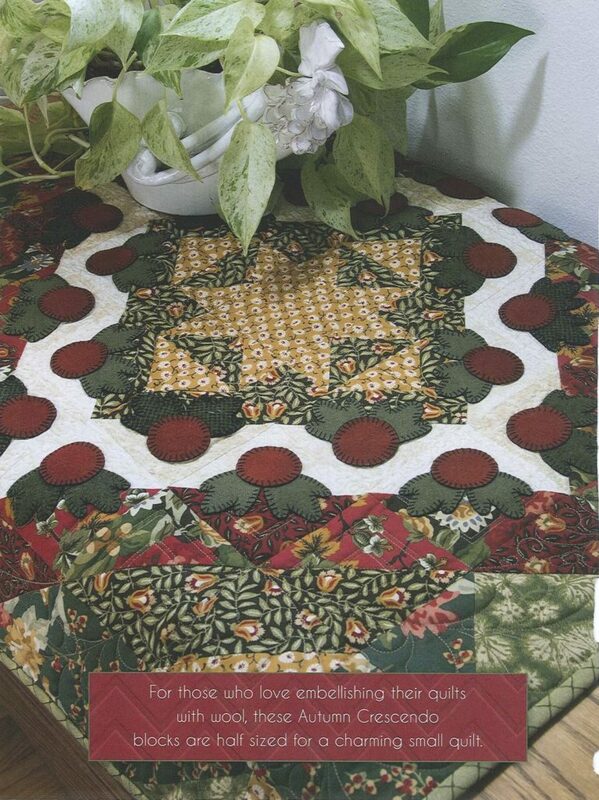 A touch of appliqué now and then also changed the flavor of the quilt. Below is large Autumn Crescendo with appliqué and the second one is a half size version with wool appliqué. 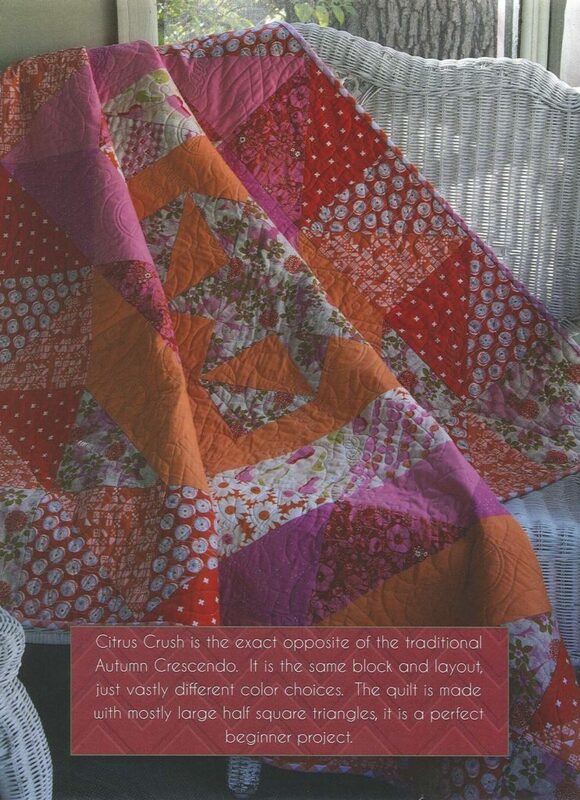 Following, the Citrus Crush quilt used very bright hot pink and orange prints. 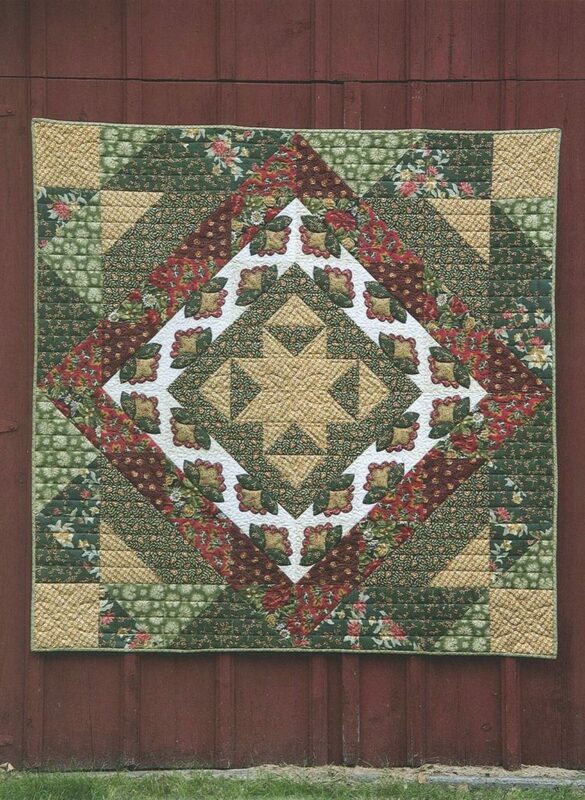 A stark contrast to the traditional version using the same block and quilt design as the Autumn Crescendo quilt. This makes the book a treasure of multiple projects. 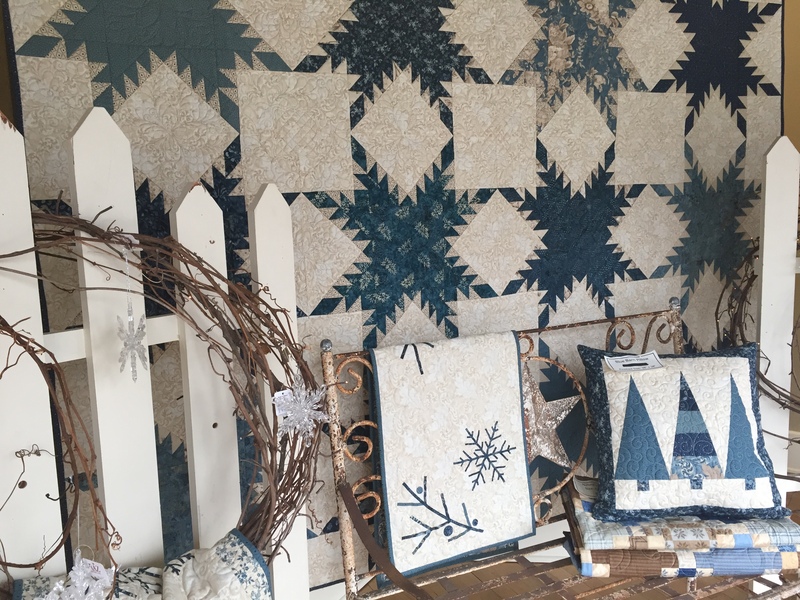 I worked with my fabrics for the traditional quilts and used a variety of prints from the Cotton+Steel collection for the modern versions of the quilt designs. 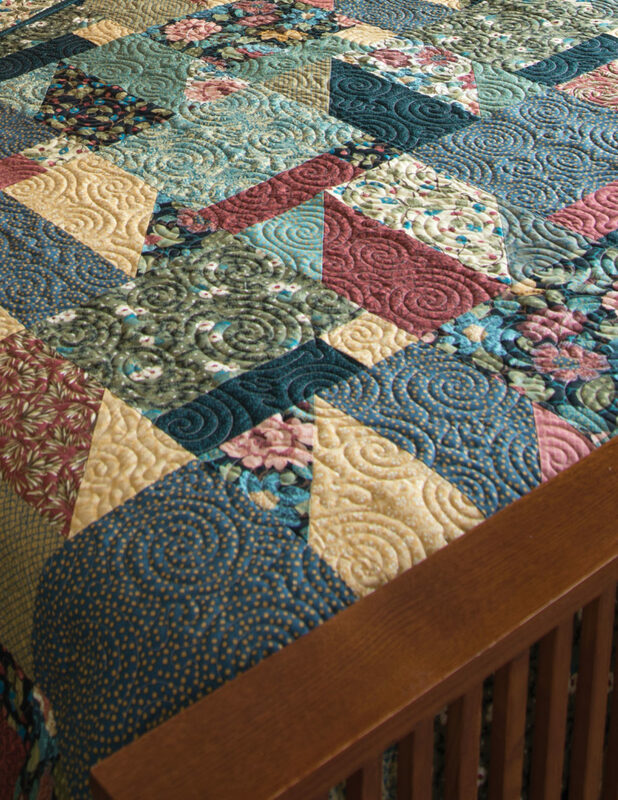 Many of the quilts have already found homes to nestle into to add that charm only a quilt can give to a room. As usual the blocks that were used for the quilts are simple. The instructions are illustrated in color and so easy to follow. 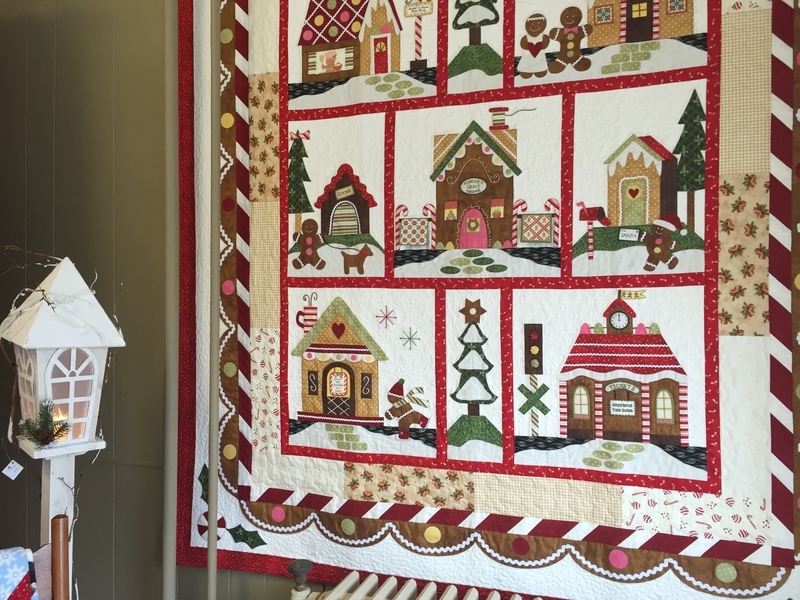 A great example of the versatility of the quilts in this book involves the Very Merry Tree Skirt and the Black, White and Bright crib quilt. 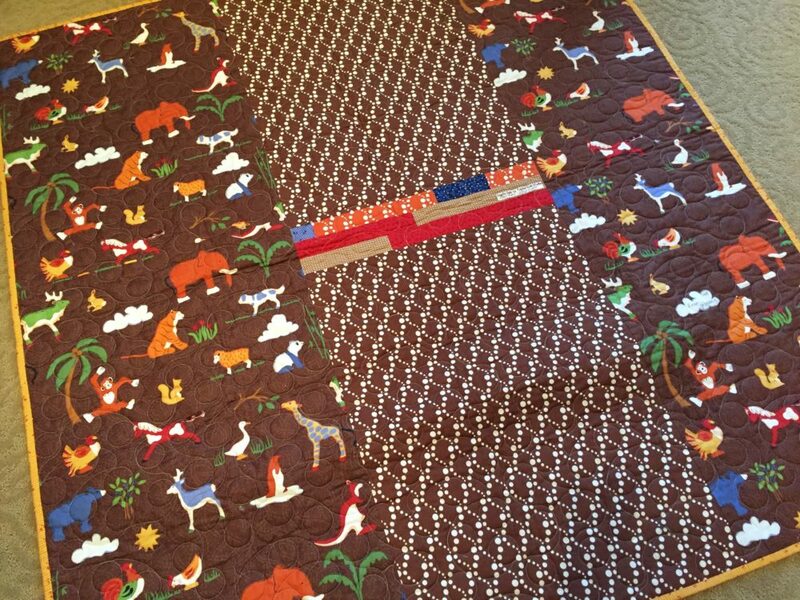 Both use the same block construction However, the tree skirt used the 8 inch block and the crib quilt used the same block but half sized at 4 inches. 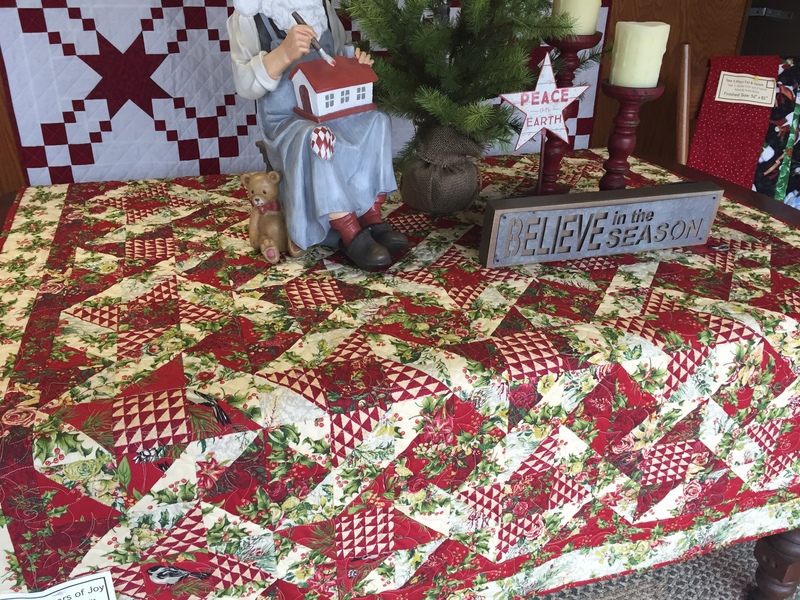 The tree skirt used traditional red and green fabrics and the crib quilt used a large variety of black and white fabrics with a variety of solid bright colors. 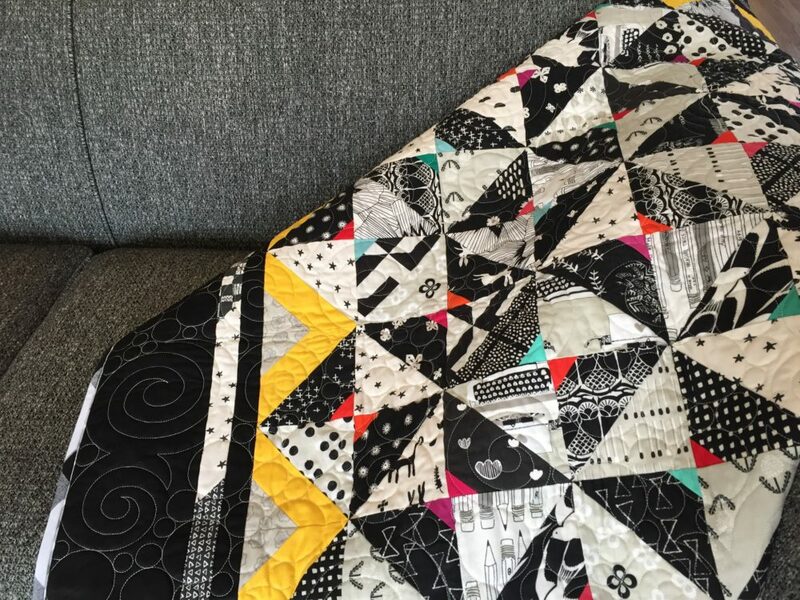 The piping on the Black, White and Bright quilt is a unique mix of two different sized checked fabrics…a nice detail on this small quilt. Here you see the Black, White and Bright quilt on my daughters new gray tweed couch. It is a perfect accent to her contemporary room adding a bold, bright accent. The Very Merry Tree Skirt has been tucked away for her tree next holiday season. It will be a perfect Thanksgiving surprise to kick off the holiday season. As you have noticed, I get to spend a lot of time with my two grandchildren, Taylor (8) and Ella (5). Here they are, sweetly posing for me with their quilts we made together that are now on their beds in their bedrooms. 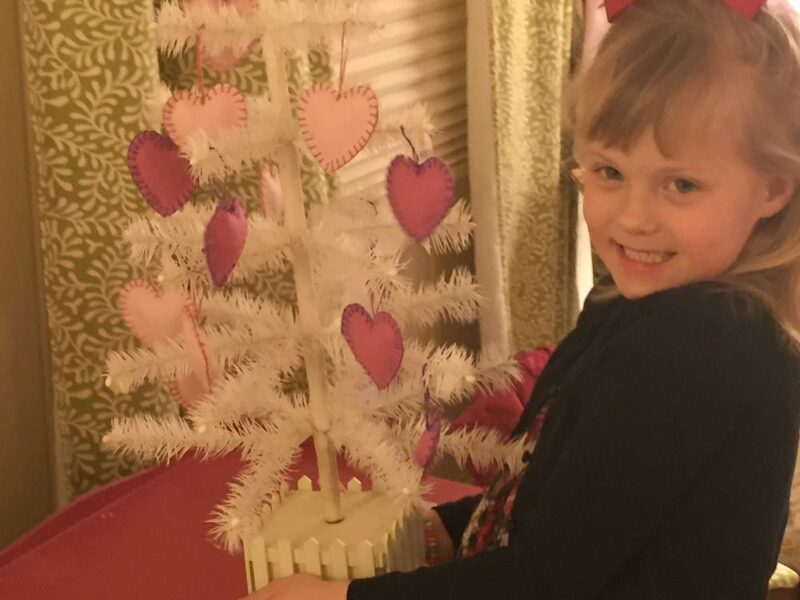 Ella loves to decorate…rooms, trees, cakes, cookies, etc. How great for me, right? 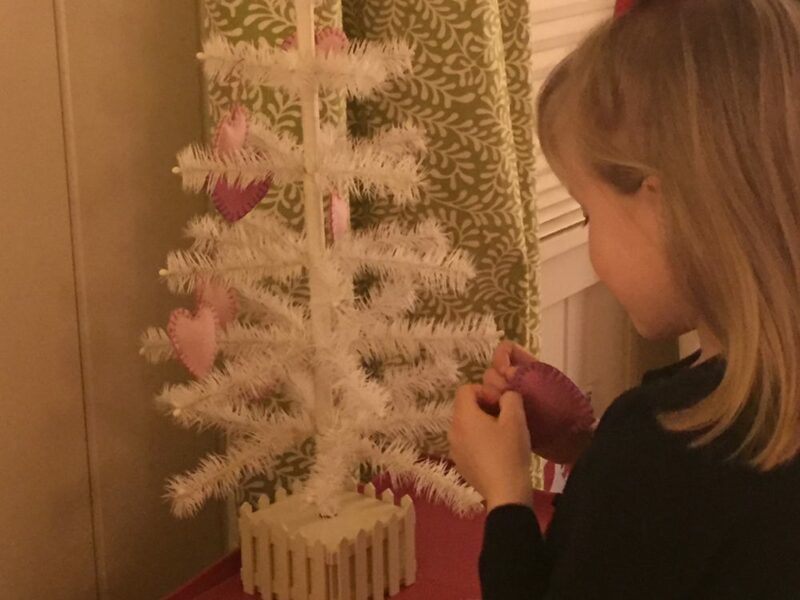 This past holiday, her mom let her have a little white feather tree in her room that was all decked out for Christmas. 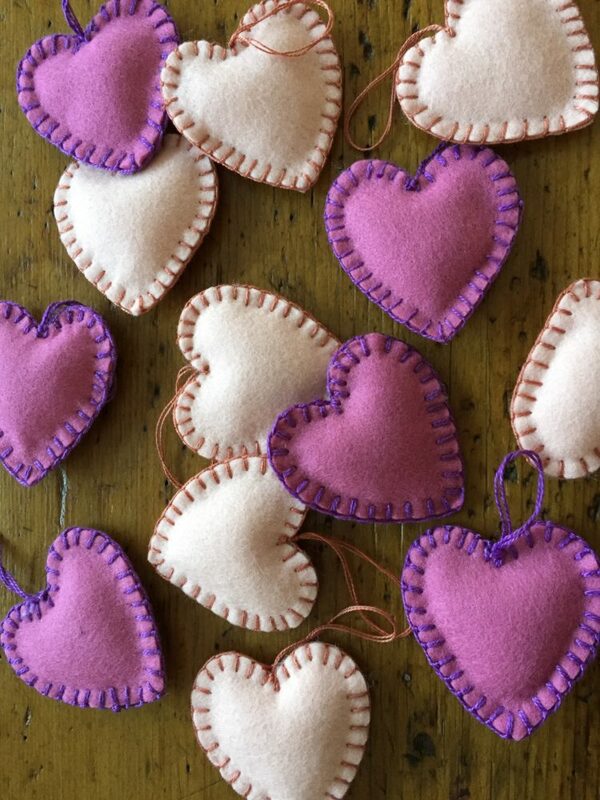 She wants to keep the tree up, so I stitched up some pink and purple hearts from wool felt with pearl cotton blanket stitched edges and a loop hanger. I added just a bit of polyester fiberfil to puff them up a bit. As soon as I delivered them, she headed up to her room to decorate her tree. I guess I better get busy on some bunnies and eggs. Easter will be here shortly and she will want to transform her tree once again. Yesterday, she actually suggested I bring her something for every holiday for her tree. I think it might be a fun activity for both grandma and Ella. I realize I have a small window to do things like this with her while she still thinks it is special. 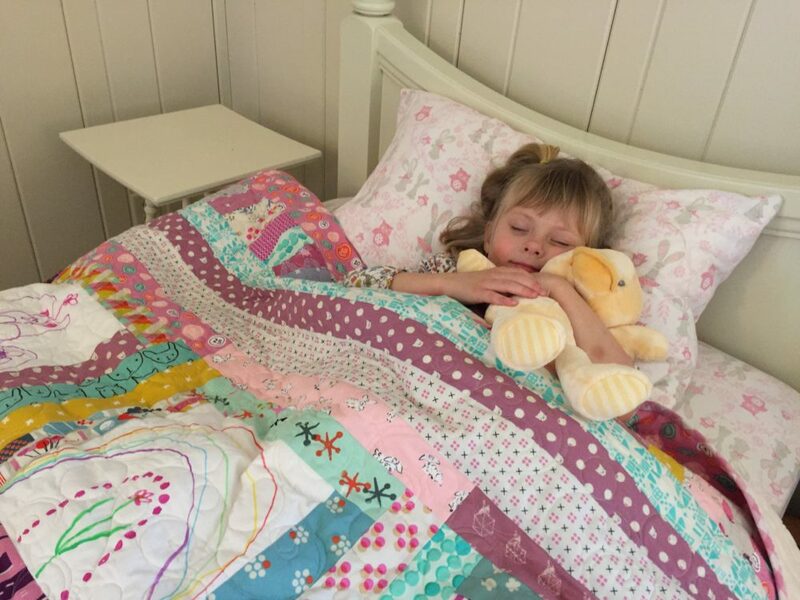 The first item on my list to do after the holidays was to finish the quilt my 4 year old granddaughter and I started to work on last summer. Both she and and her brother created their own artwork on fabric squares with textile markers for their quilts. He is a bit older so his artwork was a little more involved. 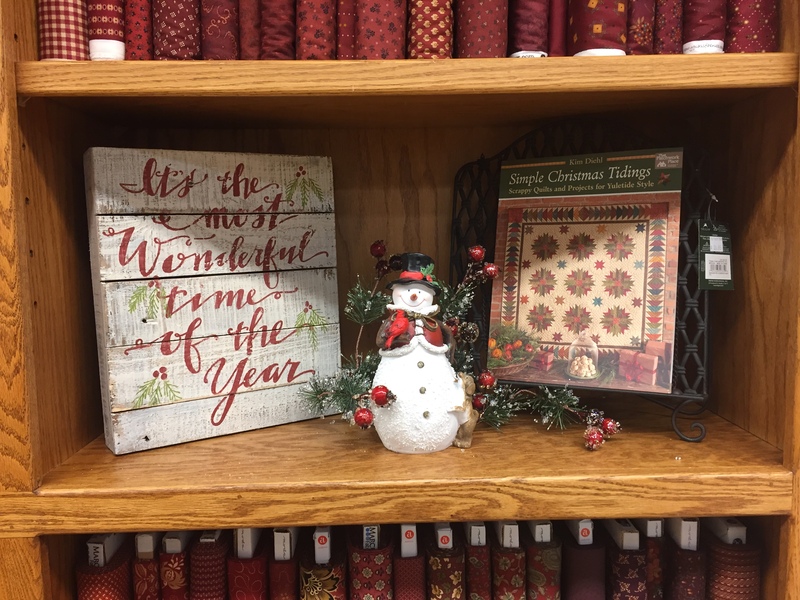 Check out the August section in the archives of this blog for instructions and marker resources for the artwork blocks. Ella was very definite about the colors she was going to use on her blocks which dictated the fabrics used on the quilt. I had a nice stash of Cotton+Steel scraps leftover from the projects I made for my upcoming book, Thimbleberries with a New Attitude. (The release date is March 1, 2017 and I will keep you posted if that changes.) 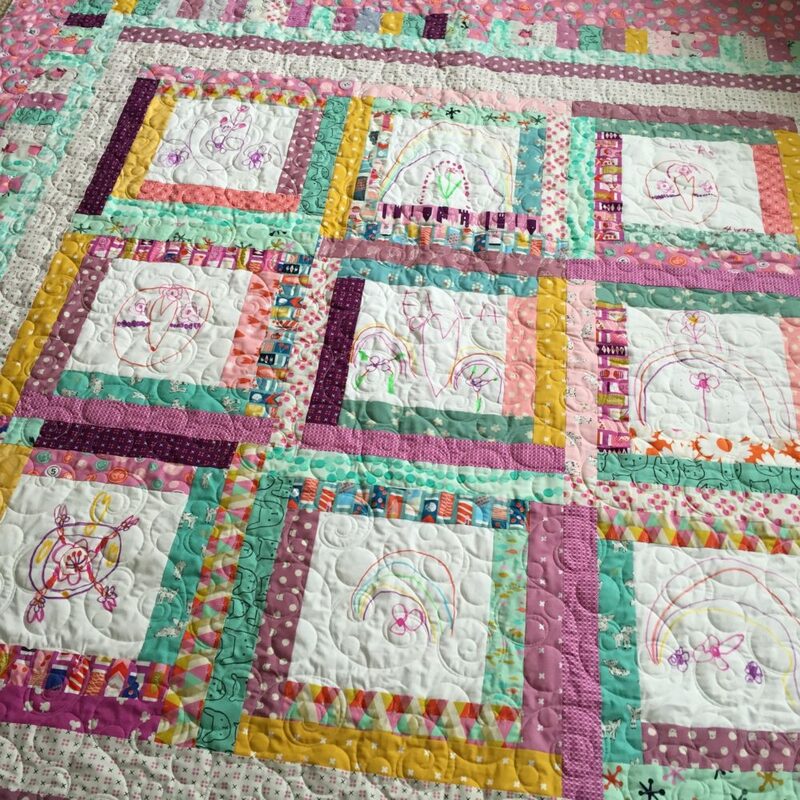 The fabrics are whimsical and with juvenile images and perfect colors for a little girl’s quilt that blended well with her artwork. She was determined to just have hearts, flowers and rainbows on her blocks, which is exactly what she did. Both she and Taylor wanted a “cozy” backing so I used a lightweight fleece on the back which you can see in the photo below. I am not sure she will remember drawing these blocks for the quilt, but I certainly will. It was a fun activity this summer at the cabin on a rainy day afternoon now and then. When all else failed, we could always work on our quilt blocks. Now, I must work on labels for the quilts. These are two that really need to be documented. When I finish a quilt top, I prepare the binding immediately. 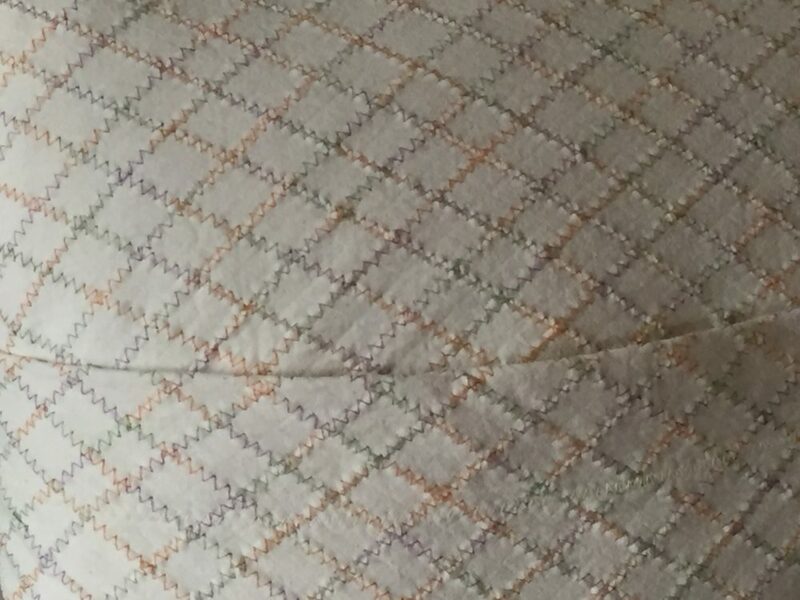 All too often, the fabric I wanted to use for a binding would have been used for something else before the top was quilted. This way, I can get started on the binding immediately after the quilting is done. 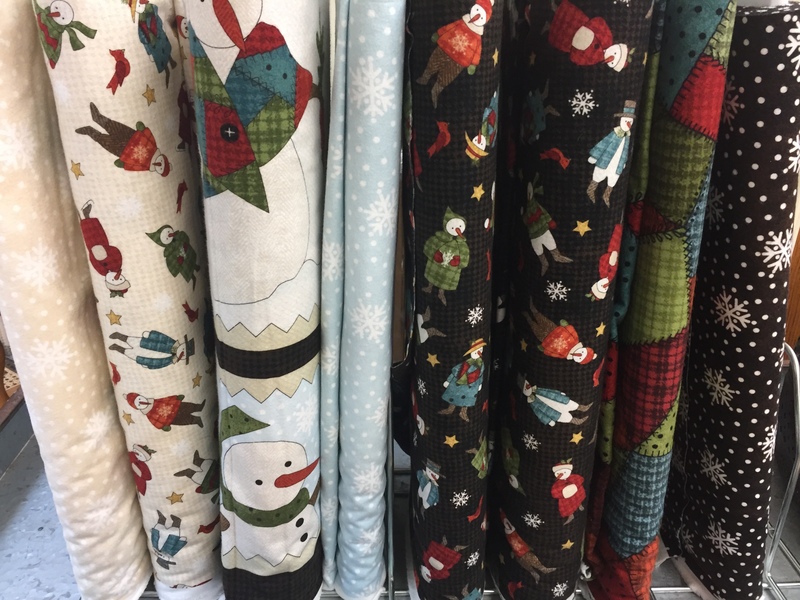 This time of the year is an ideal time to get some serious things done in the sewing room. You know, all the unfinished projects laying around that just need a few more hours to wrap up. Then, there are all of those kits you bought with perfectly good intentions that are still waiting for your attention. On my list is also those very un-fun mending projects that take time but are not so enjoyable so they really get ignored until I am just too sick of sorting and stacking them one more time. 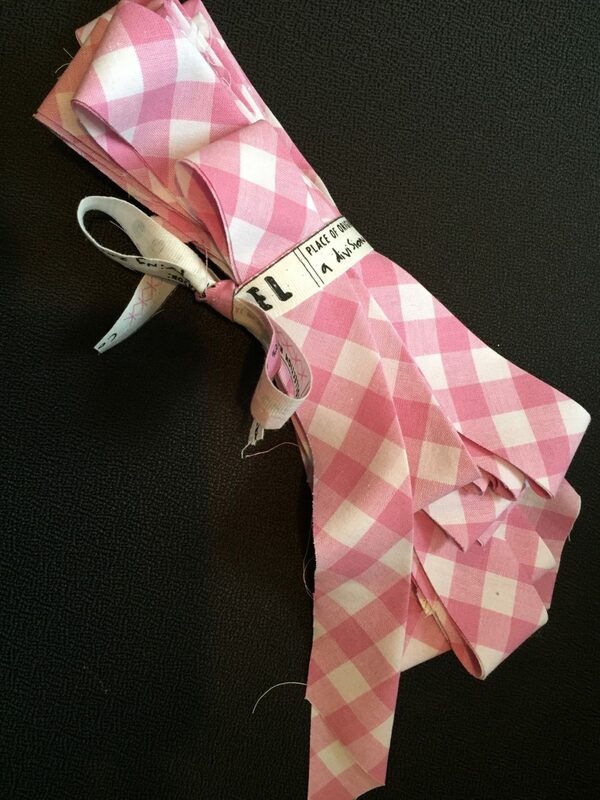 When done, I feel great…just like when the ironing is all caught up. This time of year I have a good amount of cloth napkins to iron and get back in the dining room cupboard drawers. 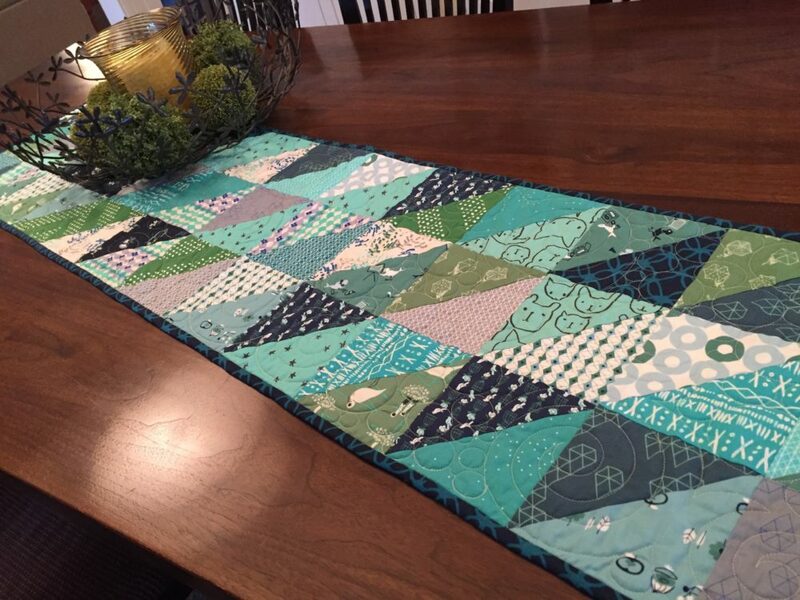 Here is a baby quilt I put together with charm squares and 2″ (cut size) strips of scrap fabrics as well as scraps to piece the backing. 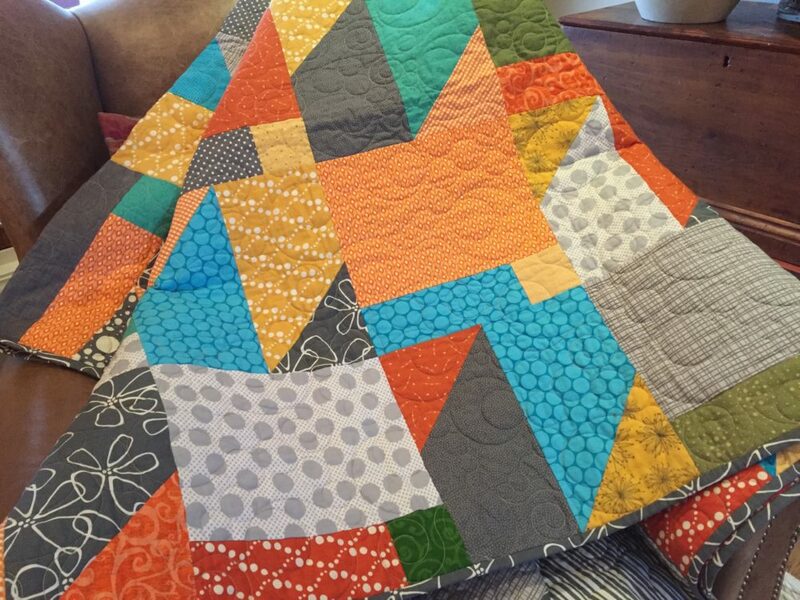 This always feels the best…using up random fabrics that come together in a great scrap quilt. 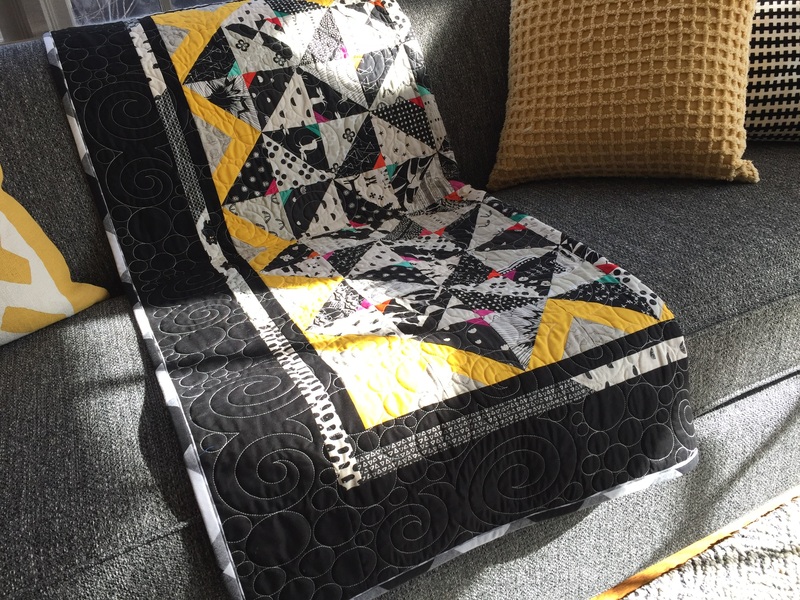 For this quilt, I used the same 2″(cut size) strips sewn end to end for the middle border. The strips were left over from piecing the center of the quilt, so they are random sizes. 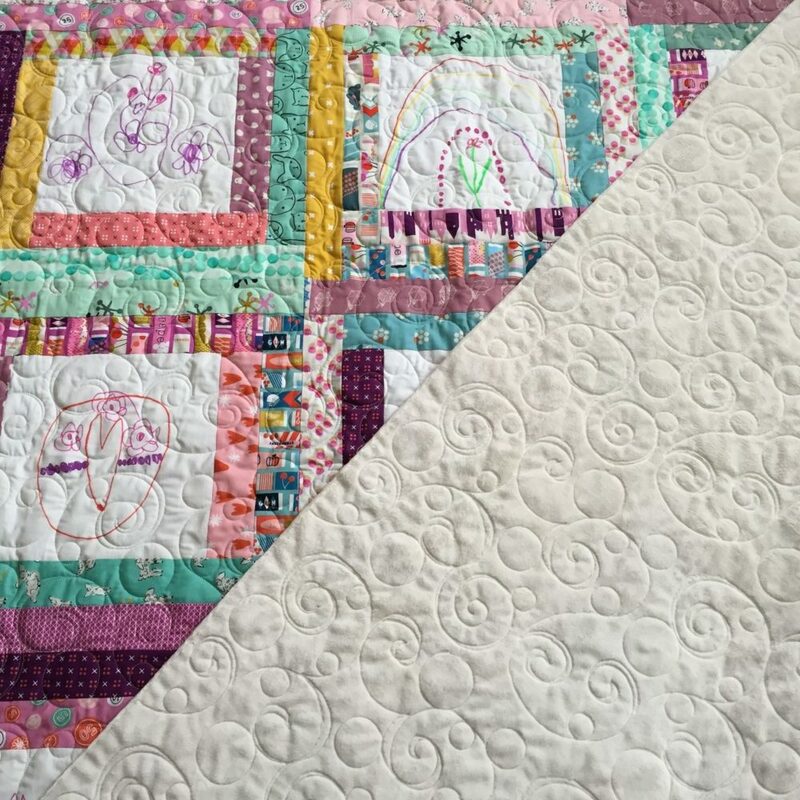 I then added the pieced strip borders after bordering the center with a cream 2″ (cut size) border that “set off” the pieced center. 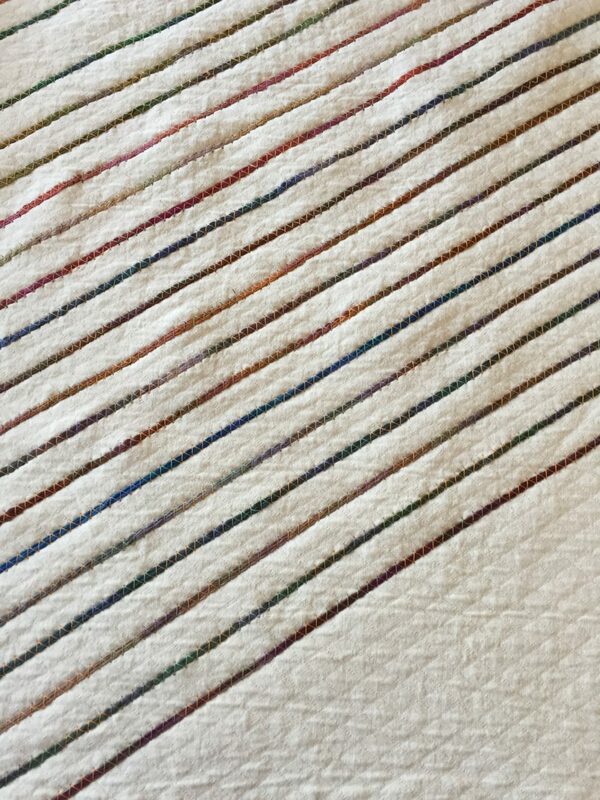 When this is done in a quilt design, I refer to it as a “floating” border. It creates visual space without adding another design or color element. All in all, I am pretty pleased with the quilt. I think it is fun, cheery and very functional. 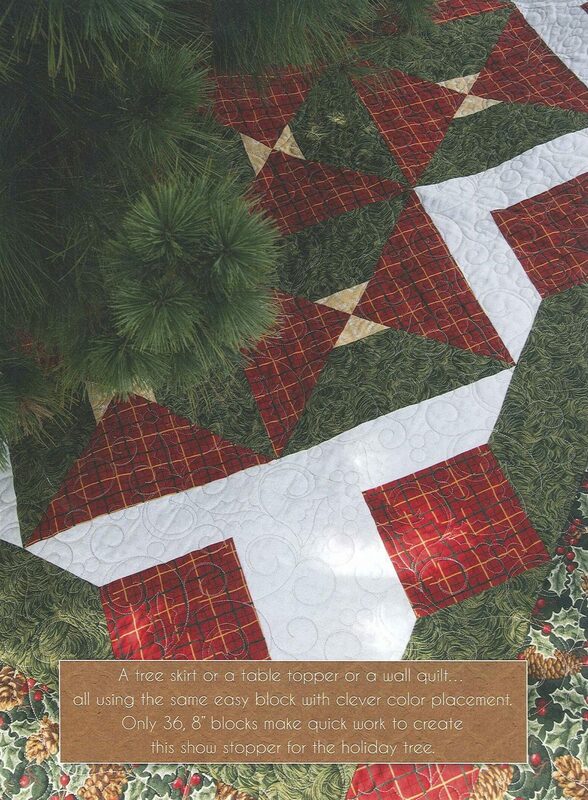 Start digging, I am sure there are the makings for a cute little quilt at your finger tips. Happy New Year everyone. The years seem to fly by. January is always the month that is quite peaceful for me. Our weather is challenging to say the least, so this is the month that we have very few visitors from other parts of the country. 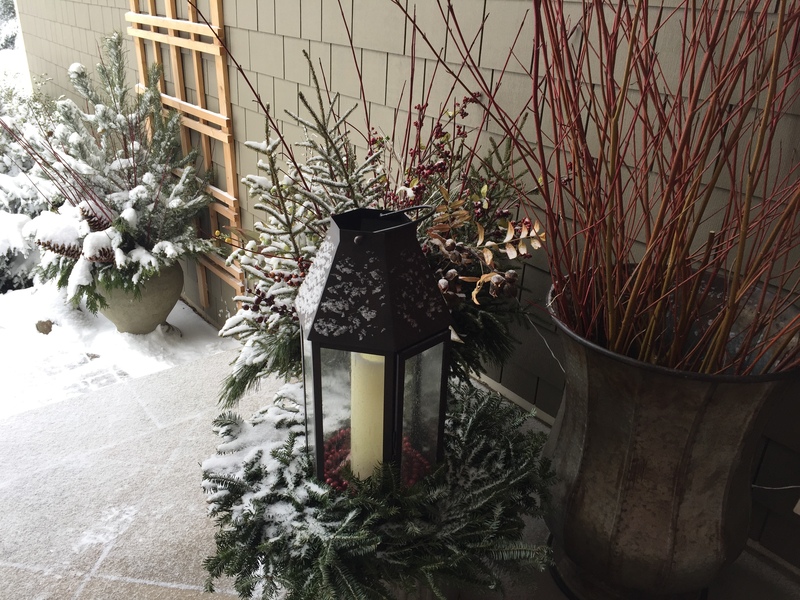 Who am I kidding…nobody travels to MN in January. It is a popular time to leave for the remainder of the winter. 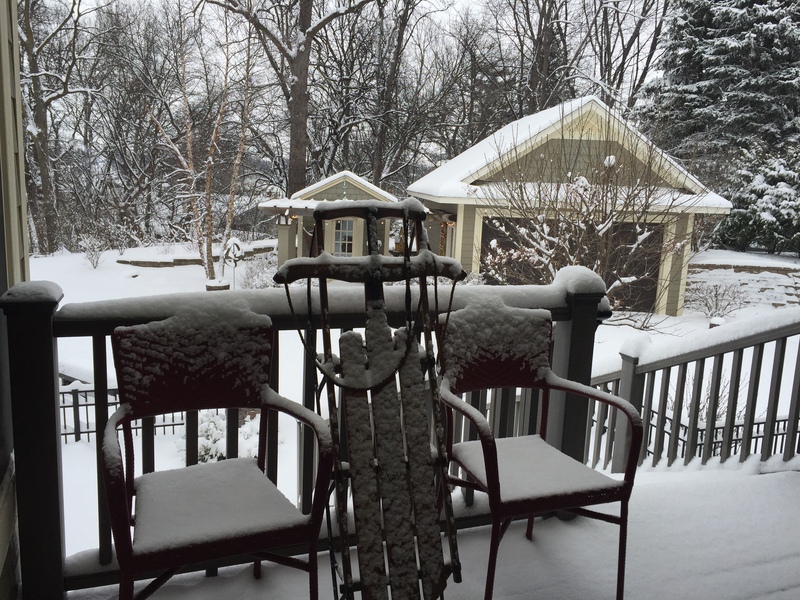 We, however, are not “snowbirds”…sticking it out here in the cold. However, I have always looked at January as “my month”…the perfect time for what I want to do in the house. Since I don’t have any chores in the yard to do and no cabin activity going on, and no business commitments or travel, it means a lot of reorganization goes on and new sewing and art projects get started. It would also be nice to finish up those that got started and set aside for some reason or another. 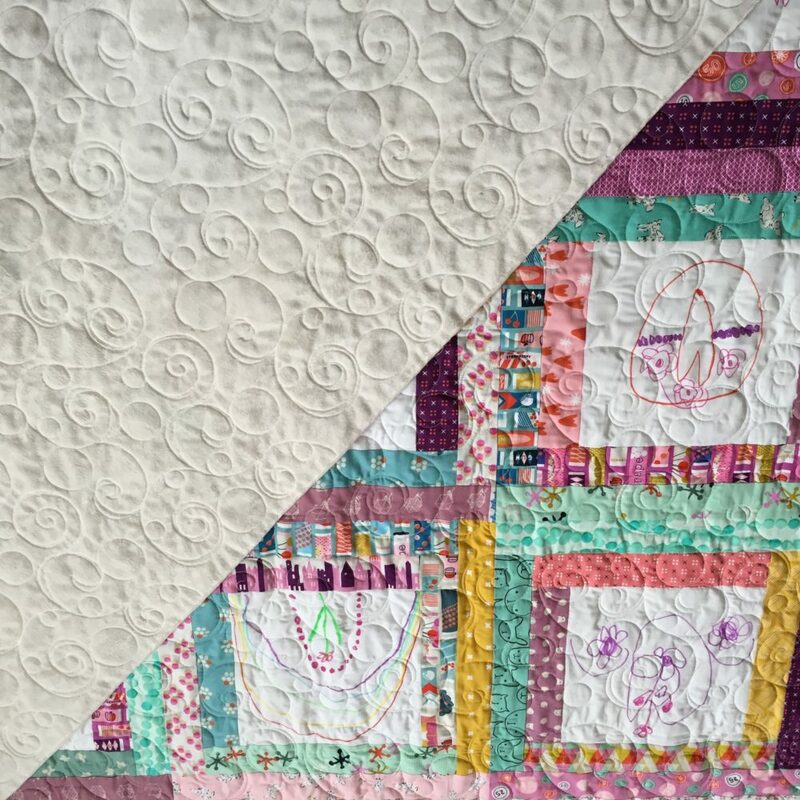 One of the projects I am going to wrap up this next week is the quilt I am making with the blocks my 4 year old granddaughter, Ella, drew this summer at the cabin. I finished Taylor’s last September. It took Ella awhile longer to draw her blocks so they got set aside just before Thanksgiving when all things get put away until after the holidays. All of a sudden it is January and she is inquiring about her quilt. This means I am off to my local quilt shop, Quilt Haven on Main, to pick up a piece of cozy backing for her quilt. 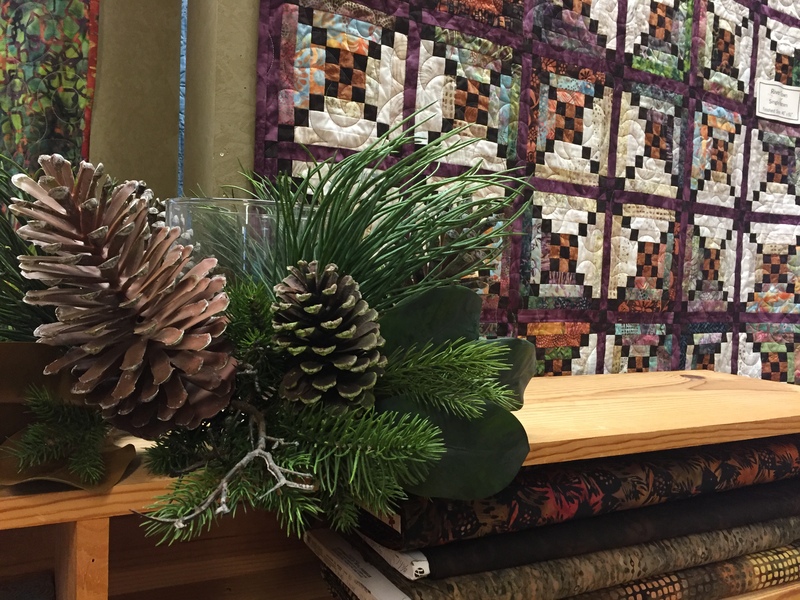 I am so very lucky to have a fabulous quilt shop in my community. 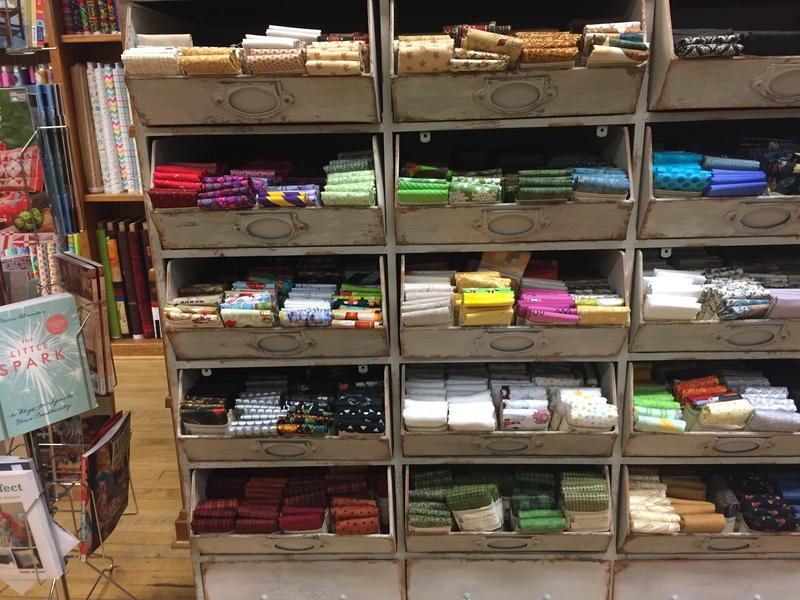 And, I suggest that if you have one near you or close by to make sure you shop locally to make sure all the small quilt shops stay in business. 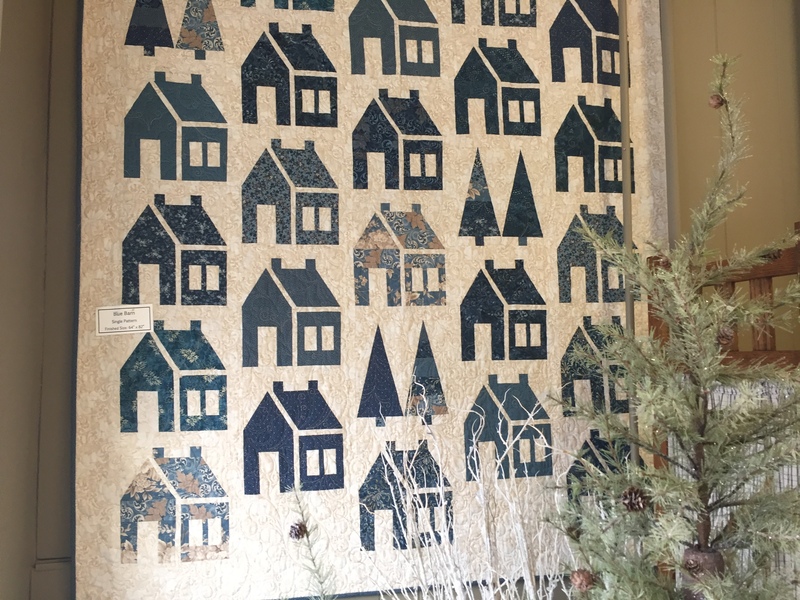 For years, quilters have found countless bits of inspiration, encouragement, classes, seminars and friendship at independent quilt shops and I am no different. 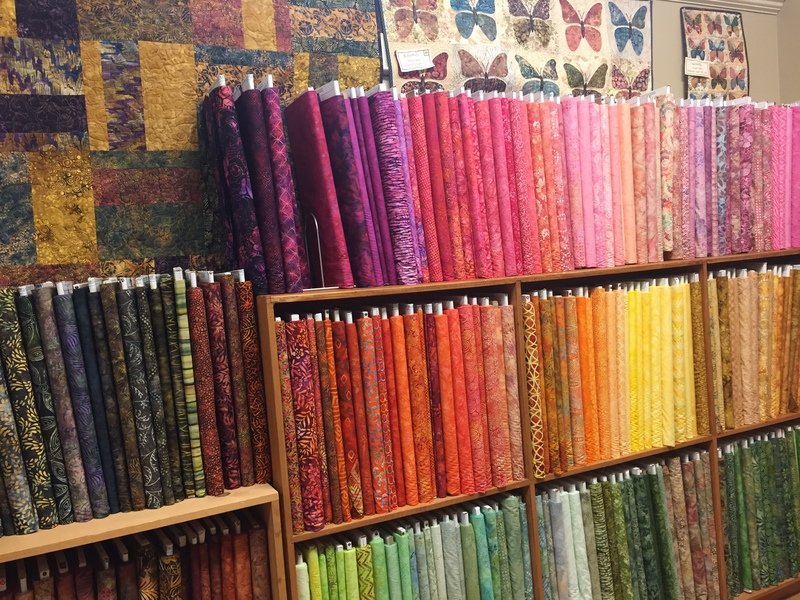 Even if you just need your spirits lifted, a walk through a quilt shop will do it. 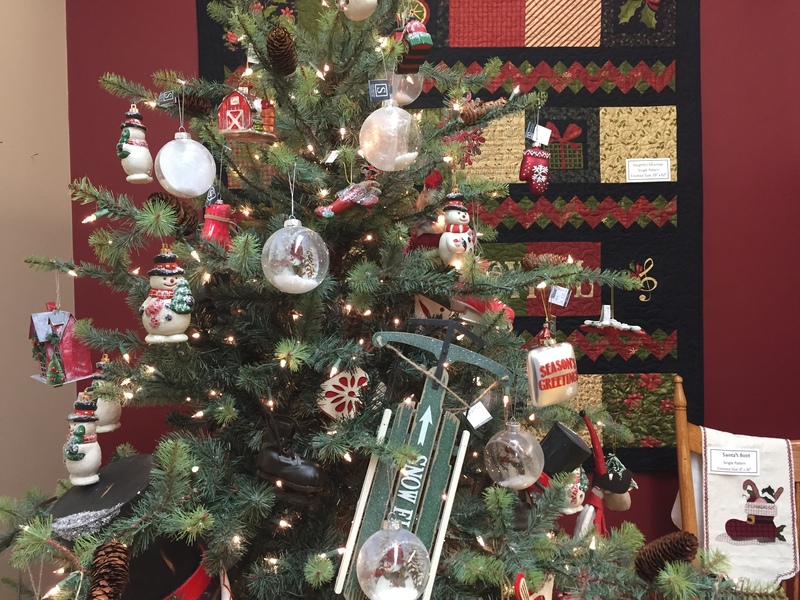 Recently I took a few snapshots at Quilt Haven on Main while shopping there over the holidays. 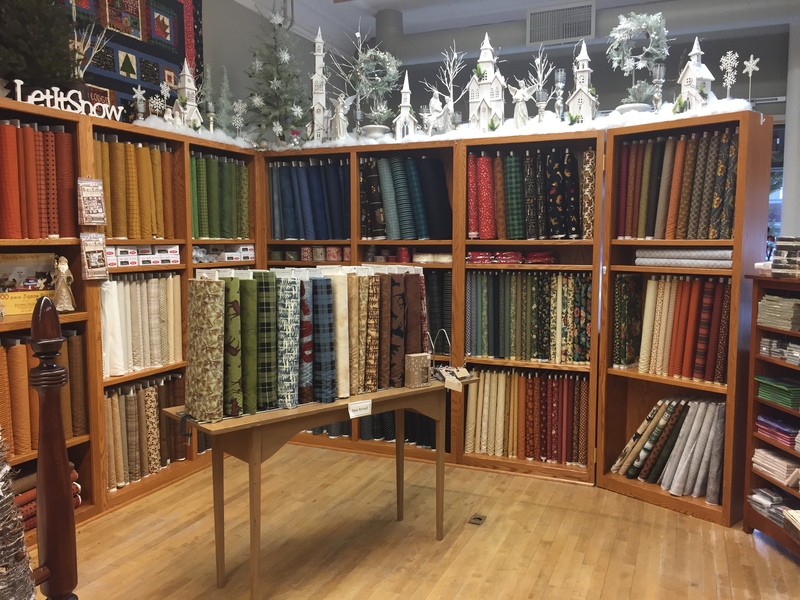 The shop is always full of great displays, the newest fabrics, books and patterns and the staff is incredibly knowledgeable, friendly and helpful. 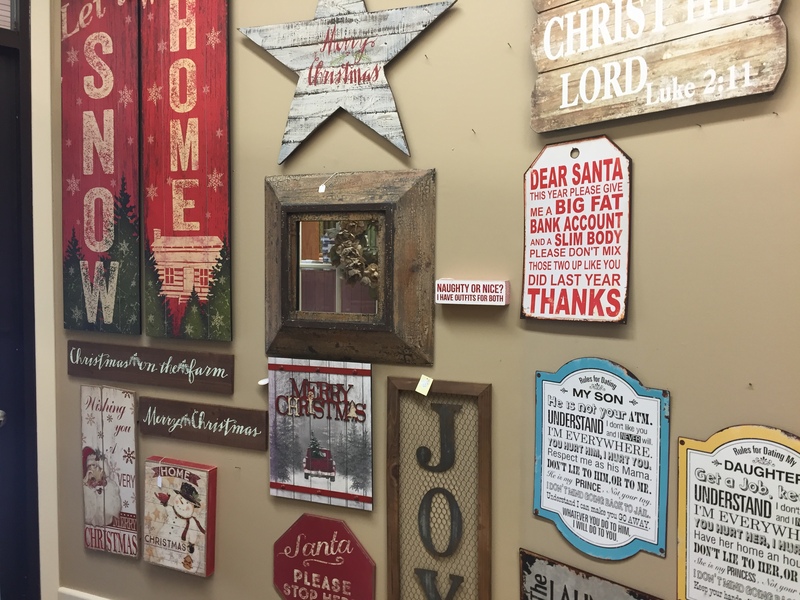 Who wouldn’t be inspired with all these lovely samples. 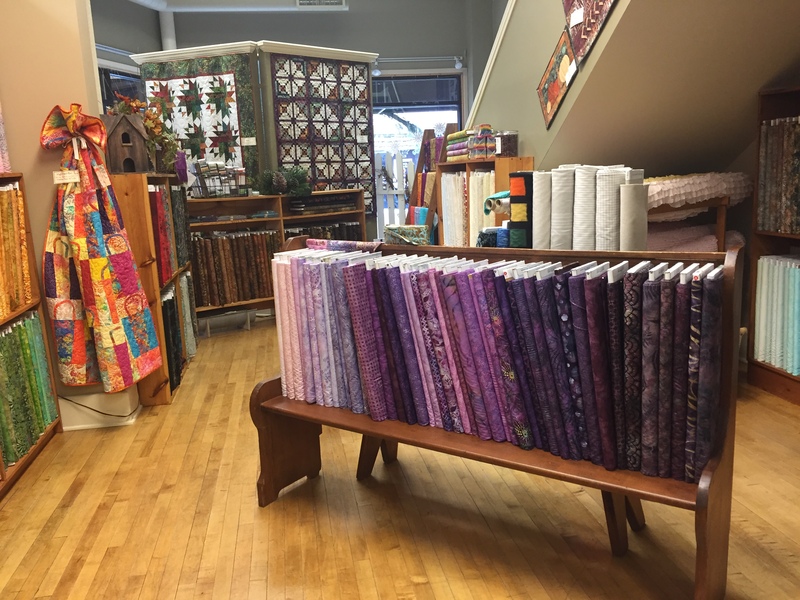 Now, if you are not one of the lucky ones that has a local quilt shop, you can become a valued customer at Quilt Haven on Main by receiving their email newsletter or better yet, take a road trip to Hutchinson, MN and enjoy a nice long visit at the store. 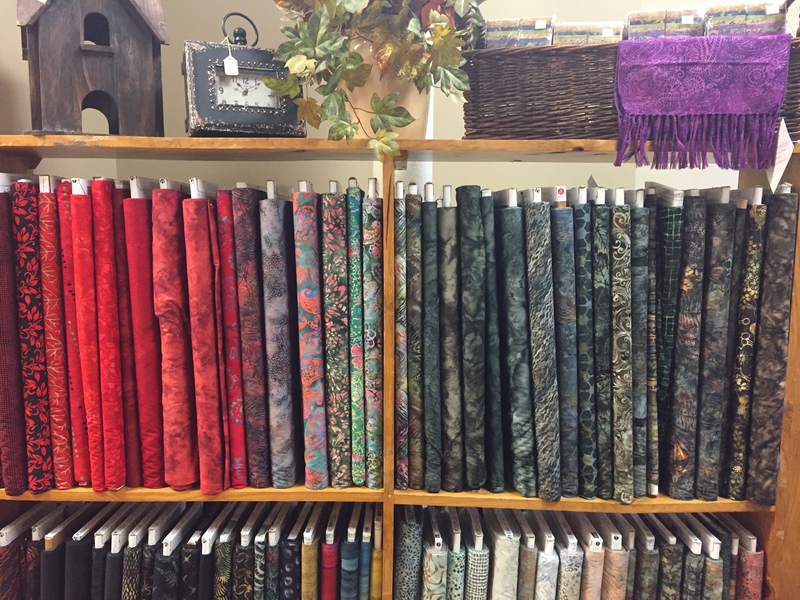 They would be happy to become your “local quilt shop”. 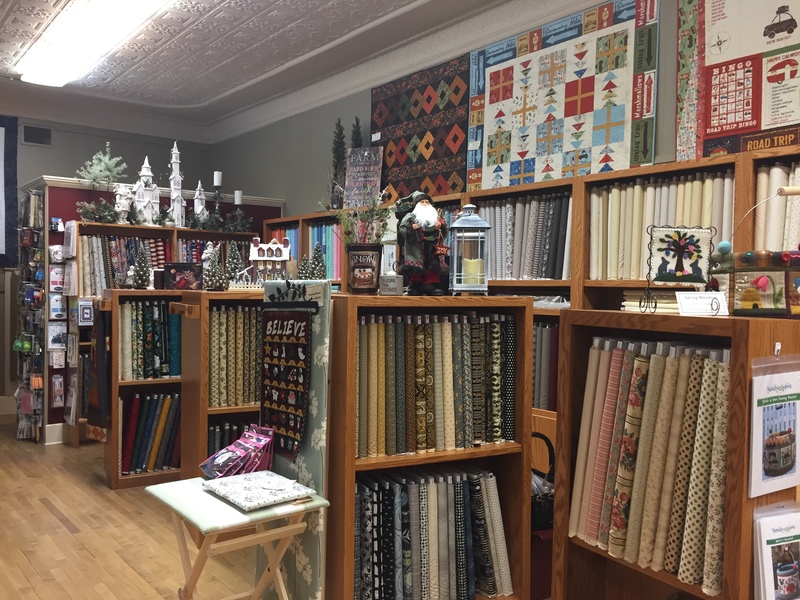 Quilt Haven on Main is located at 7 North Main Street in downtown Hutchinson. Contact information…qhonmain@hutchtel.net or 888-843-8215 or 320-587-8341. Just before Christmas, I passed on one of my all time favorite cookie recipe, and the easiest recipe in the cooking world, and yet I messed up on the ingredient list. Maybe I already had too much sugar in my system. I know how frustrating it is to get a recipe that is wrong and I do sincerely apologize. It is one thing to pass it on to a friend on one hand written recipe card, but sending it out over the “net” is another. This is why cookbook authors have test kitchens and editors. The Cookie Brittle recipe should be…. Cream the butter, vanilla, salt and sugar with an electric mixer until fluffy. It is best to use a regular stand mixer with the paddle attachment. Mix in the flour gradually. Add chocolate chips. Press into a 15-1/2 x 10-1/2 inch pan. The original recipe indicates a 15 x 13 pan, but that is an odd size and not very common. I also like the thickness when it is in the 15-1/2 x 10-1/2 inch pan. When it is put in the larger pan, it is harder to spread out and bakes faster and end product is very thin and crisp. The key is to watch it closely while baking so it bakes to a nice golden brown, just like a good chocolate chip cookie. I do not recommend baking it in a 9 x 13″ pan, however. It gets too thick and looses the brittle consistency and not soft enough to be a good cookie or bar. You can tell, I have quite a history with this recipe. On a brighter note, the holiday weekend was busy and fun with family close by. When the dust settles, it is nice to sit back and just enjoy being at home before starting the process of putting all the decorations away. This is also my favorite time to have friends over for a more casual supper or perhaps lunch. Everyones’s schedule is more open and It extends the season in a very joyful, relax manner. 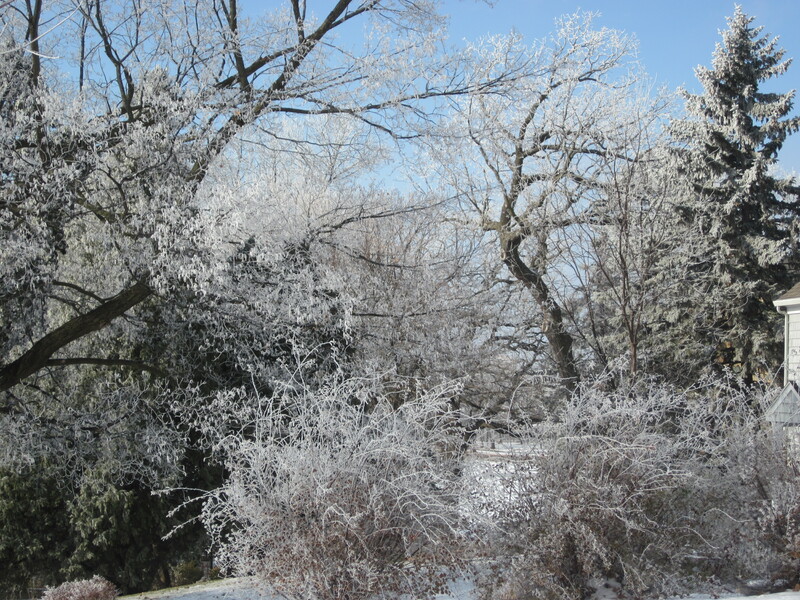 My winter garden…I am always amazed at the beauty of how snow and frost collect on trees and branches highlighting the structures of the plants without leaves or flowers. It is another whole kind of beauty…everything at rest. Winter has settled in for a bit. 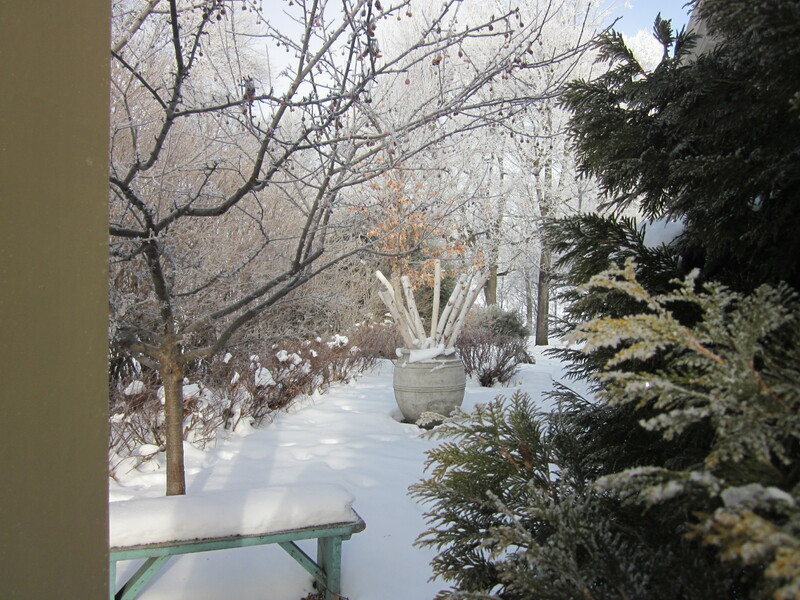 I took this picture through the window (and screen) the other morning after an evening of steady, slow snow with no wind. This is my view outside my kitchen window over my sink. 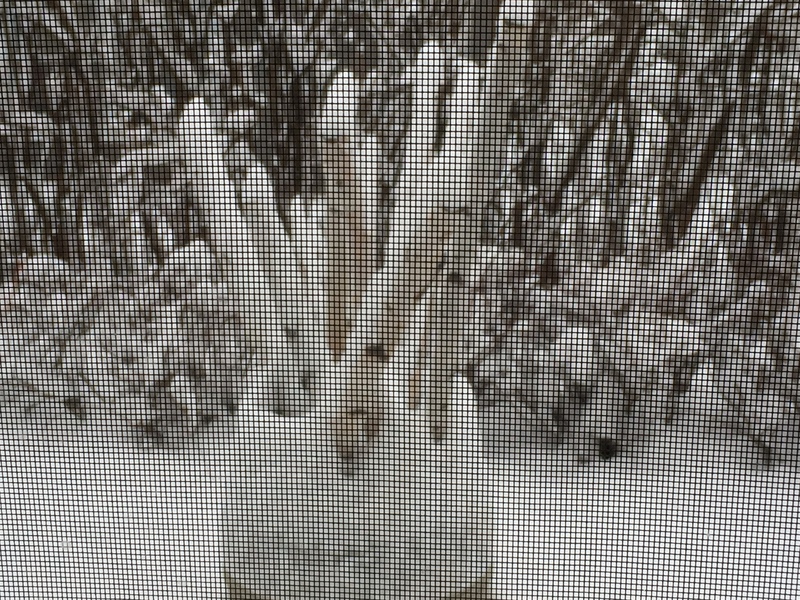 I love how the snow piled up on the ends of the birch limbs I have in a large urn out in my side garden. Even without leaves or colorful flowers, the landscape is often very beautiful.